Wednesday Wrap: Jay Z snubs Spotify, new Noble headphones, world's smallest portable projector | What Hi-Fi? Jay Z has removed his Blueprint Trilogy albums from Spotify, Apple Music, iTunes and Amazon MP3. Unsurprisingly, the only place you can listen to them is Tidal, the streaming service that Jay Z owns. His other studio albums, including The Black Album, American Gangster and Magna Carta... Holy Grail are still available to stream and download across all the services. It’s likely Jay Z has made the move to drive more fans to Tidal - Kanye West caused the app to shoot to the top of the US App Store after he released The Life of Pablo exclusively on the service. However, it's since been reported that the album was illegally downloaded 500,000 times within 24 hours of its launch and that it failed to chart on the Billboard 200 because Tidal doesn’t report its streams to the RIAA (Recording Industry Association of America). Magnasonic has launched a new LED pico projector which claims to be the "world's smallest" portable, DLP model. It can be used to project an image of up to 60-inches from smartphones, tablets, laptops and games consoles. The image displayed has 640 x 360 resolution and a contrast ratio of 1100:1. The built-in rechargeable battery claims to last up to two hours use from a single charge. It's available now for $170 from Magnasonic's website. Noble Audio has launched a new, five-strong range of in-ear monitors. The new range replaces Noble’s current acrylic-body universal-fit models and ushers in aluminium end-caps and composite bodies for all models. The models are as follows: Trident (£275), Savanna (£350), Savant (£420), Dulce Bass (£485) and Django (£695). Silicon and SLA 3D printed tips are available for most models for a premium. Netflix is continuing with its production of original content with a new movie called Bright, according to The Hollywood Reporter. It’s set to star Will Smith, has a reported budget of $80 - $100 million and is expected to be directed by David Ayer, who’s taking the helm on the new Suicide Squad movie, which also stars Mr Smith. Netflix has been relatively successful when it comes to original TV shows such as House of Cards. Its movie offerings haven't faired so well, so the streaming giant is surely hoping big name stars Smith and Ayer can deliver. Start-up company Iosthinks has announced a new smart device that connects to your existing speakers to begin playing music when it detects you're in the room. The speaker can also connect to other smart devices such as a sleep tracker and will play calming music to wake you up. You can also synchronise with smart lighting solutions such as Philips Hue. 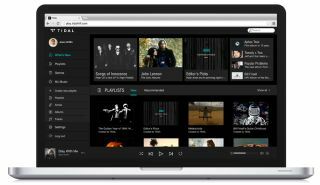 It supports most major music streaming services including Spotify, Deezer, SoundCloud and Google Play Music. It's also DLNA and UPnP compatible so can stream music stored on a NAS drive or server. For more information, head over to the Iosthinks Kickstarter page. Sony has announced it’s buying the 50 per cent of Sony/ATV Music Publishing it doesn’t own from the Jackson Estate for $750m. If approved, the deal would mean Sony Corporation of America (SCA) will own the whole of Sony Music Entertainment the record company and Sony/ATV, the publisher. Sony/ATV manages and/or owns songs by a number of big name artists, including The Beatles, Michael Jackson, Elvis Presley, Eminem, Oasis and Ed Sheeran. Michael Jackson initially bought the ATV catalogue in 1985 for $41.5m and it's often considered one of the smartest investments in music history. Apple Music has signed a deal with Dubset, to bring an extensive catalogue of unlicensed remixes to the streaming service. Dubest has a MixBANK distribution platform which makes sure that any artist being sampled in a remix gets a share of royalties. Until now, unlicensed remixes were only widely available on platforms such as YouTube and SoundCloud, but now they’ll start appearing on Apple Music because artists, labels and publishers will receive royalties. While Apple Music is the first service to get the remix catalogue, Dubset has said it plans to sign deals with 400 distributors worldwide. The Criterion Collection is an American video distribution company that specialises in "important and contemporary films". Sight & Sound Magazine has confirmed in its April 2016 issue that the Criterion Collection will start being released on discs in the UK on April 18th this year. Five titles will be available at launch, including "Speedy", "It Happened One Night", "Grey Gardens", Roman Polanski's "Macbeth" and Sydney Pollack's "Tootsie".